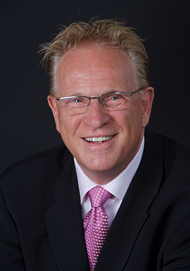 In 2000 Jim Downham founded LeaderLinx, a boutique North American executive search group, in Chicago. The Canadian office of LeaderLinx, located in Toronto, was established in 2002. Our vision is to be the North American Go To executive recruiter linking packaging and printing industry leaders with human capital. The name LeaderLinx communicates the goal to link individual leaders with company leaders. The North American lynx, lynx rufus, is a nimble, explosive and extremely focused wild cat. It is a powerful symbol for the business. The links/lynx double meaning equaling Linx - embodies the Internet age and the wild cat. Jim is an accomplished packaging and printing executive who has devoted his career to creating value for customers, employees and packaging/printing market leaders. These include LeaderLinx, Mail-Well, Lawson Mardon (acquired by Alcan), Nor Baker and Continental Can Company (CCC). He has an extensive packaging and printing background in labels - including glue applied, pressure sensitive, shrink, in-mould and roll fed; folding cartons; flexible packaging and rigid containers. Jim's career was set in motion at CCC in a management development program. He followed the sales and marketing career path and progressed through the ranks of Packaging Systems Management, Sales & Marketing and General Management. This led to Vice Presidential roles of business units and ultimately to divisional President and CEO. During his extensive career Jim has partnered with a blue chip list of global consumer packaged goods companies including: Procter & Gamble, Unilever, Colgate, Nestle, Con Agra, Pillsbury, Kraft, Anheuser Busch, Interbrew - Labatt, Molson, UDV, Seagram, Bacardi, Allied Domecq, Pfizer, Bristol Myers-Squibb and Johnson and Johnson. Jim is a graduate of the Advanced Management Program of Harvard Business School and has completed executive programs at the Northwestern University's Kellogg Graduate School of Management and York University. Jim has lived and worked throughout North America and holds citizenship in both Canada and the US. Contact Jim at 647 993-7600 or email here. Copyright ©2007 LeaderLinx. All Rights Reserved.